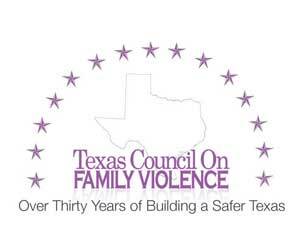 Since 1978, the Texas Council on Family Violence has been a nationally recognized leader in the efforts to end family violence through partnerships, advocacy and direct services for women, children and men. TCFV’s membership is comprised of family violence service providers, survivors of domestic violence, businesses and professionals, communities of faith and other concerned citizens. TCFV’s three major focus areas: Support to Service Providers: Educate and train victim advocates, criminal justice personnel, health care providers, faith communities, businesses, advocacy organizations, service providers and allied professionals in communities throughout Texas. Public Policy Development: Strive to serve as a unified voice before the Texas Legislature on behalf of domestic violence victims by supporting passage of laws that will assist victims and survivors. Prevention: Support prevention efforts of local programs across the state and work to create an environment in which all can work collaboratively to stop domestic violence once and for all.